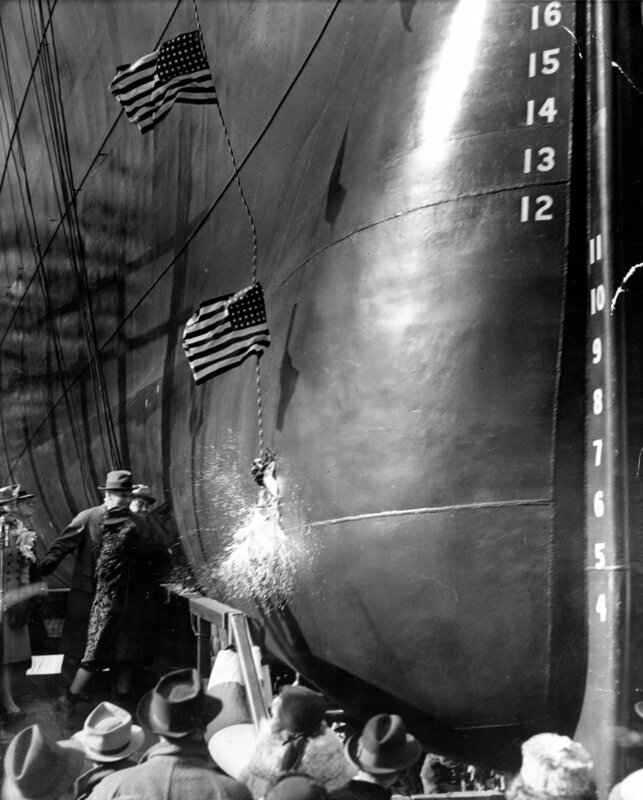 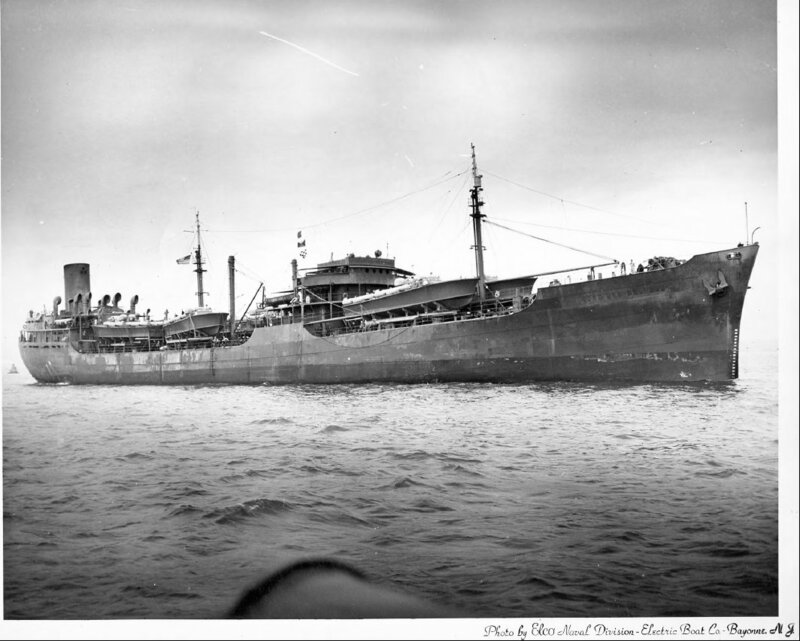 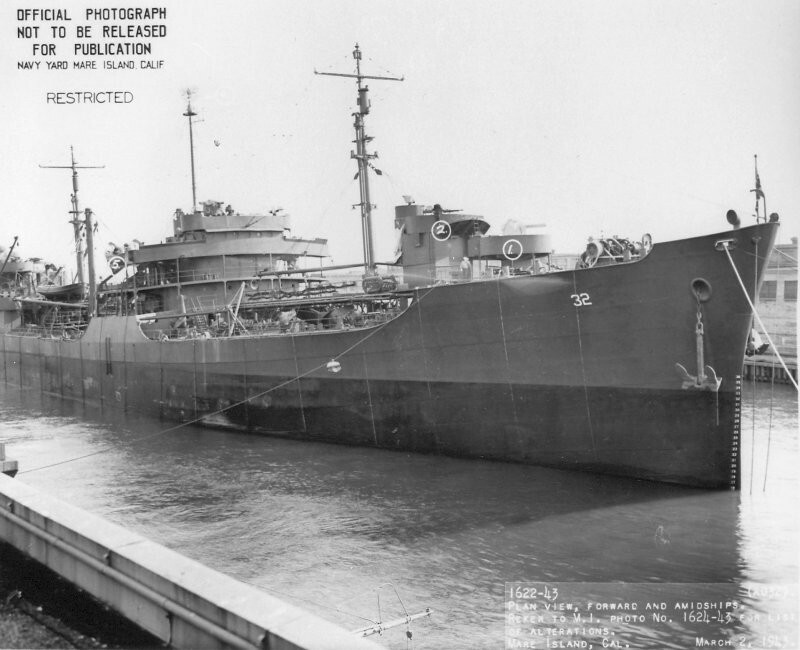 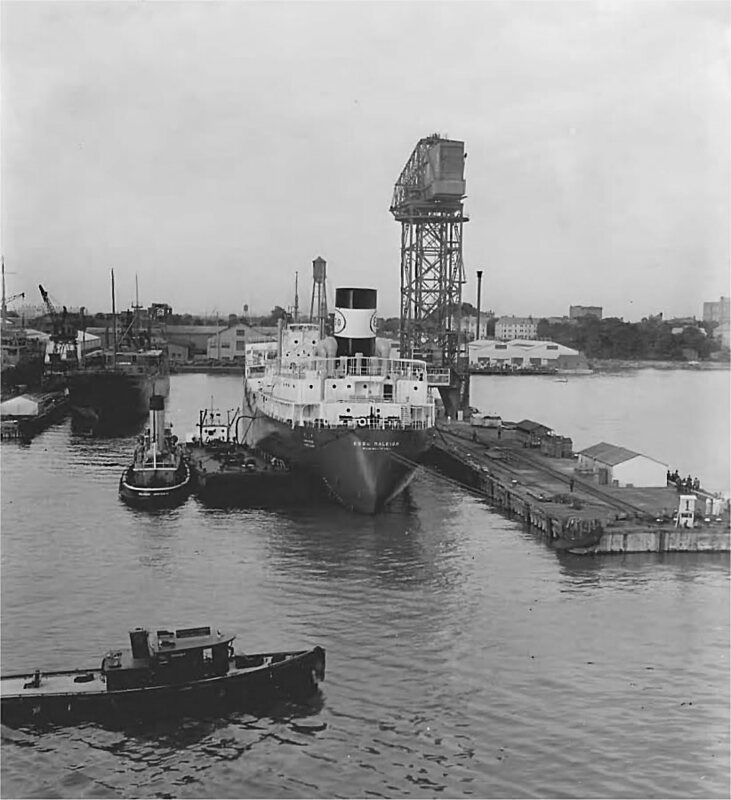 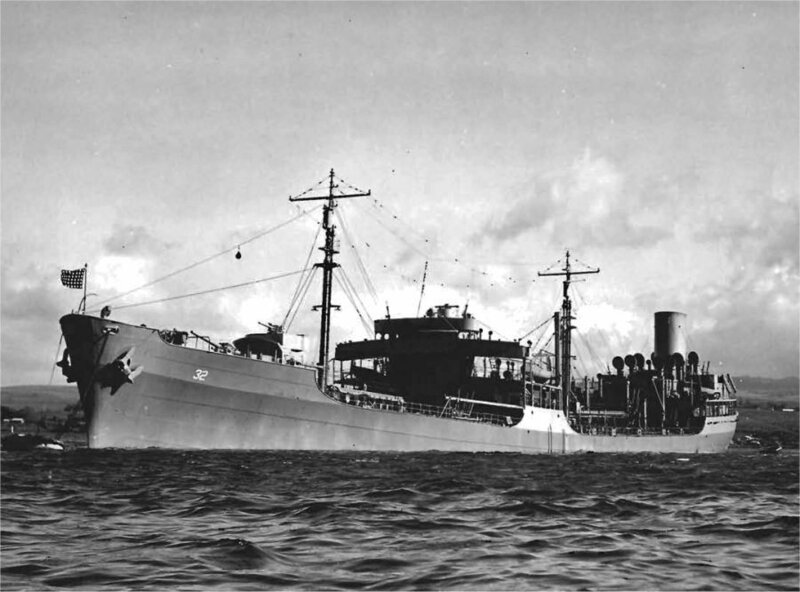 Laid down in 1939 as, SS Esso Raleigh, a Maritime Commission type (T3-S2-A1) tanker hull, under Maritime Commission contract, (MC hull 12), at Newport News Shipbuilding and Drydock, Co., Newport News, VA.
93k SS Esso Raleigh moored pierside with an oil barge and tug alongside, circa 1940, location unknown. 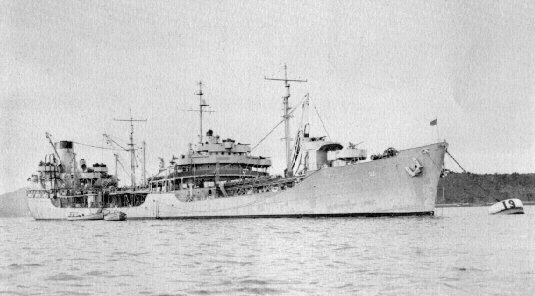 Richard Jaslovsky (120503101) Photo by ELCO Naval Division, Electric Boat Company, Bayonne, N.J.
74k Amidships looking forward plan view of USS Guadalupe (AO 32) in San Francisco, 2 March 1943. 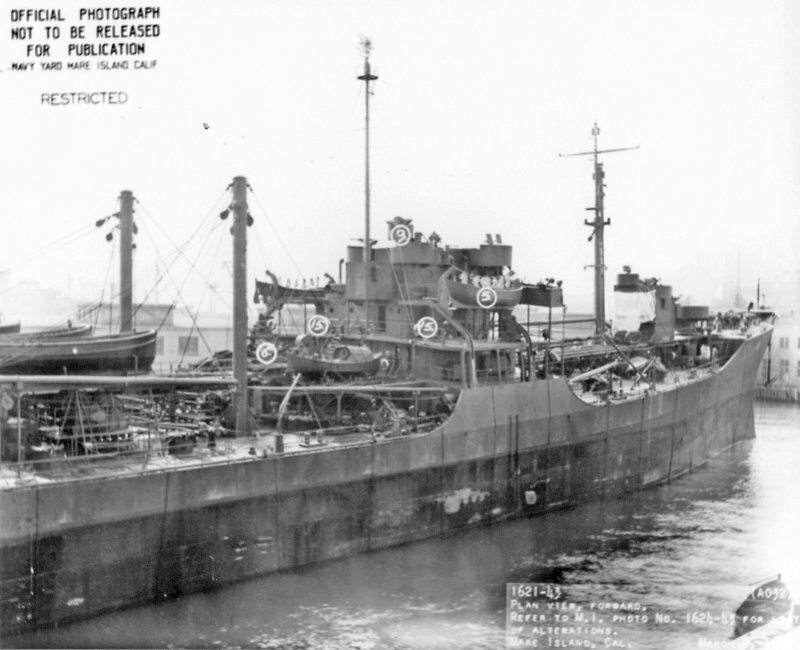 83k Forward plan view of USS Guadalupe (AO 32) in San Francisco, 2 March 1943. 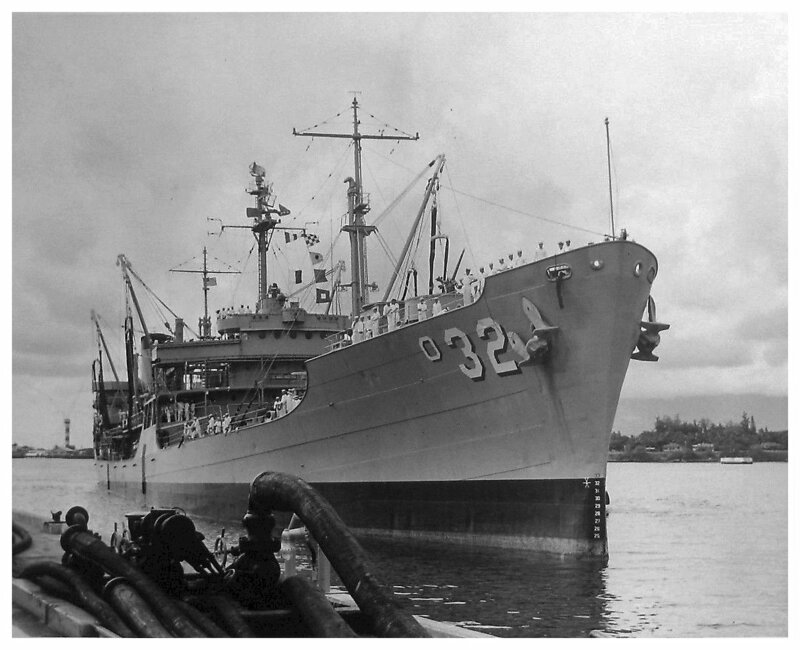 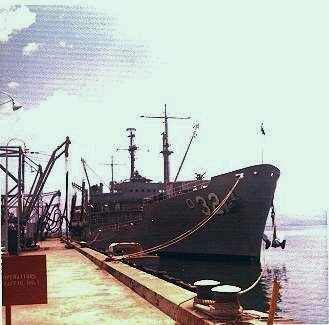 33k USS Guadalupe (AO-32) moored to a buoy, date and location unknown. .
97k USS Guadalupe (AO-32) moored to a buoy, date and location unknown. 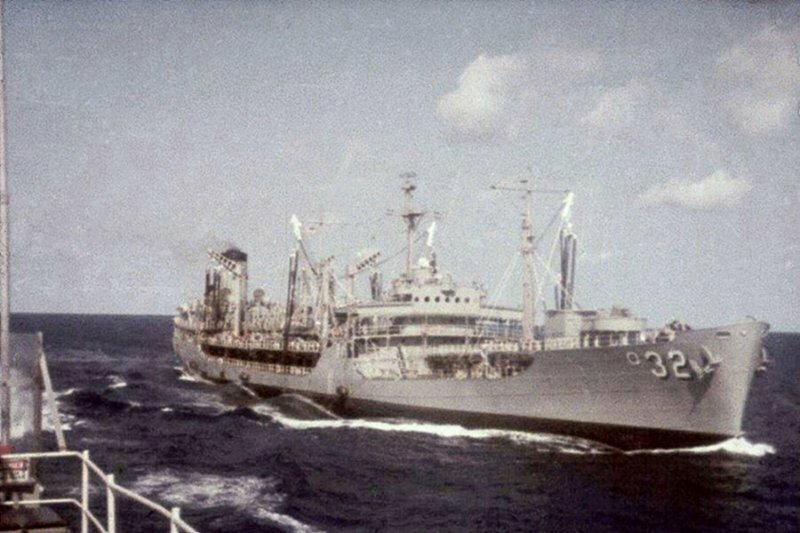 67k USS Guadalupe (AO-32) underway in 1963, location unknown. 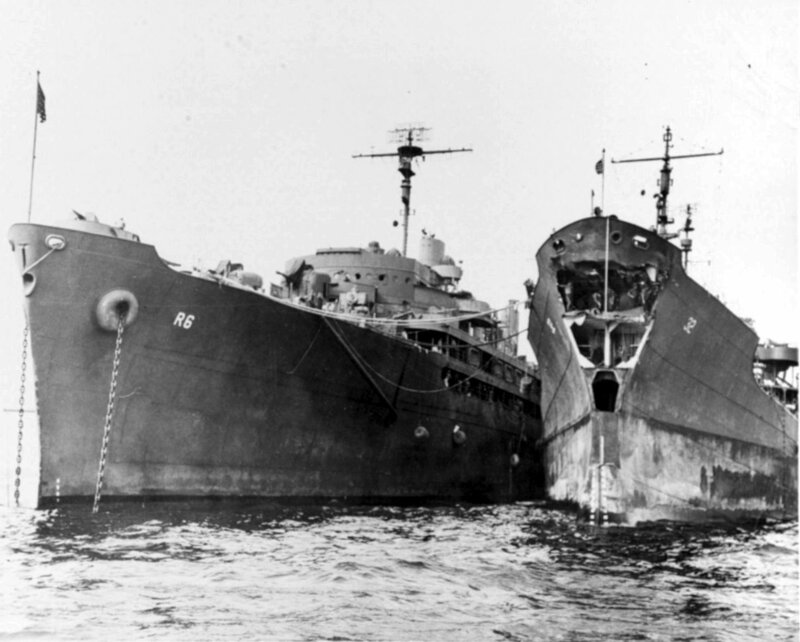 155k USS Ajax (AR-6) with USS Guadalupe (AO-32) alongside for repair at Ulithi, 9 February 1945. 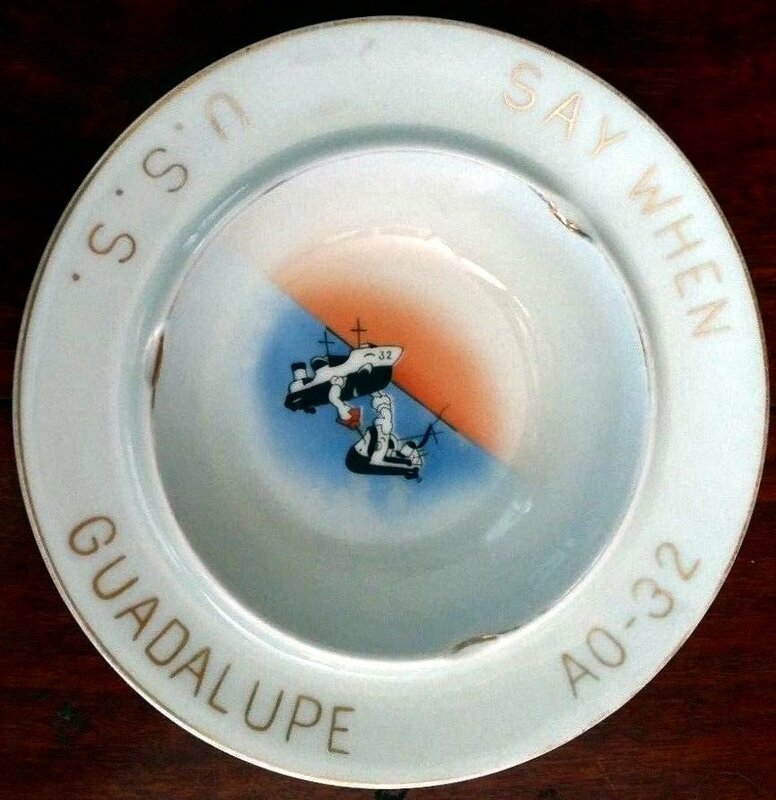 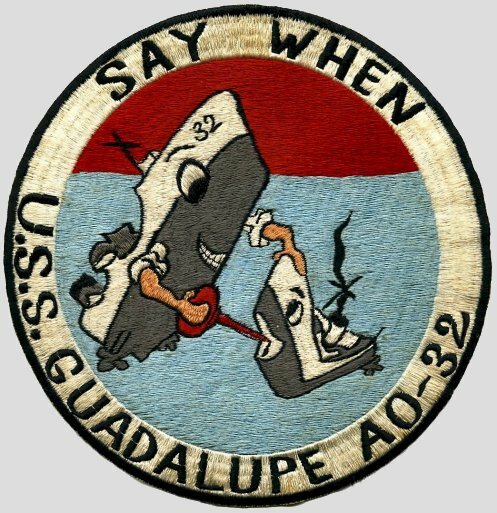 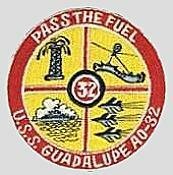 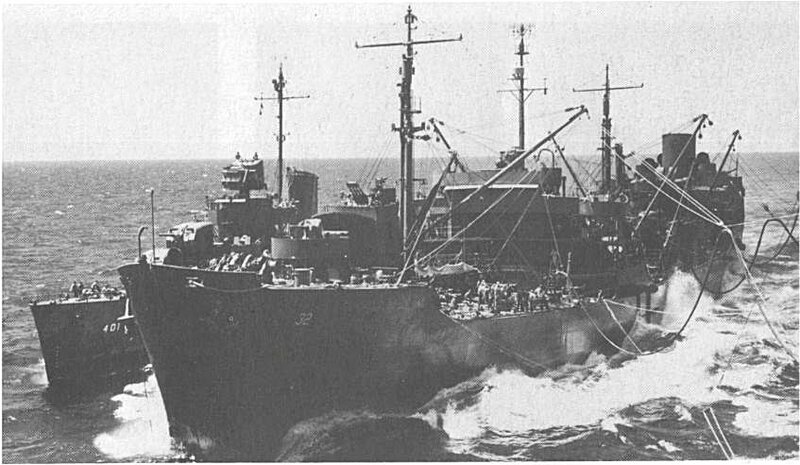 Guadalupe was damaged in a collision with USS Nantahala (AO-60) in January 1945. 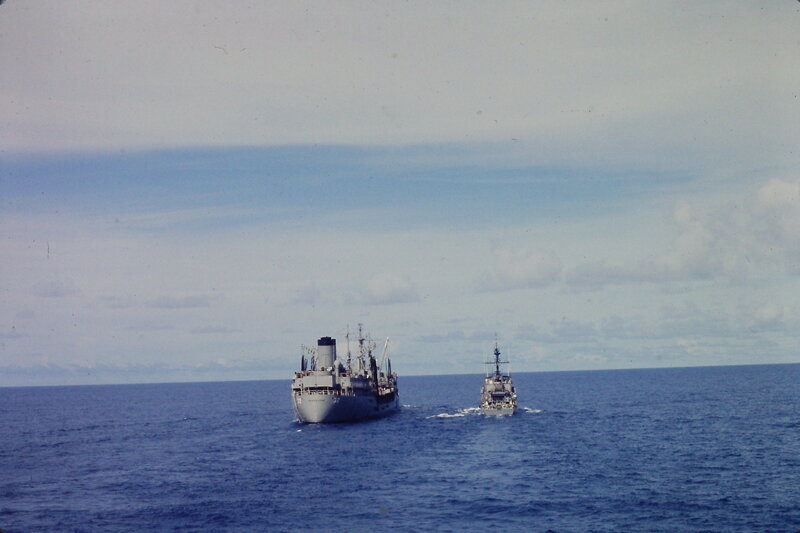 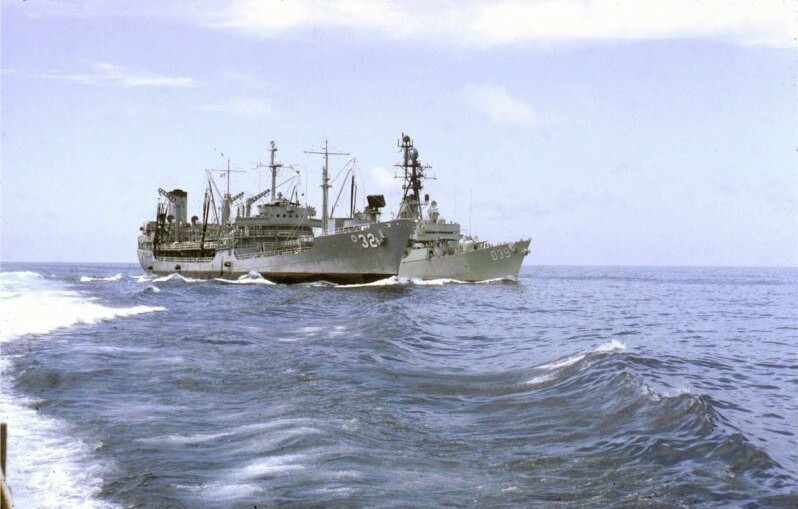 84k USS Guadalupe (AO-32) refueling HMAS Hobart (D39) off Vietnam in the spring of 1967. 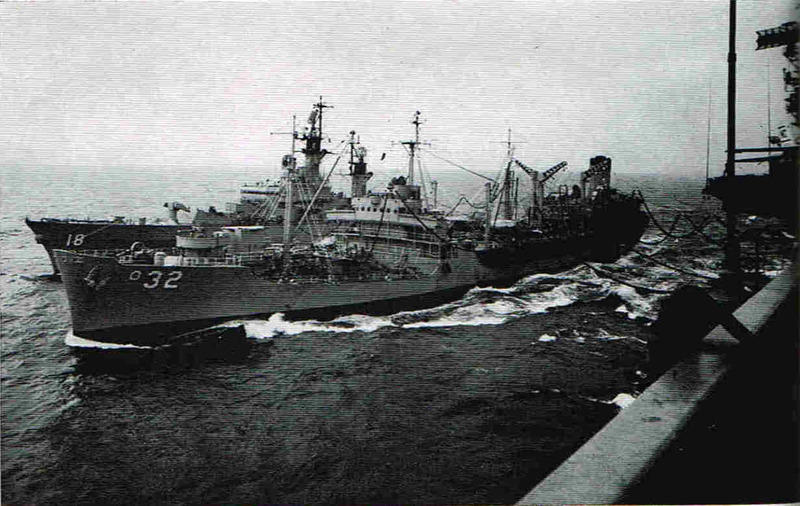 Hobart was taking part in Operation Sea Dragon. 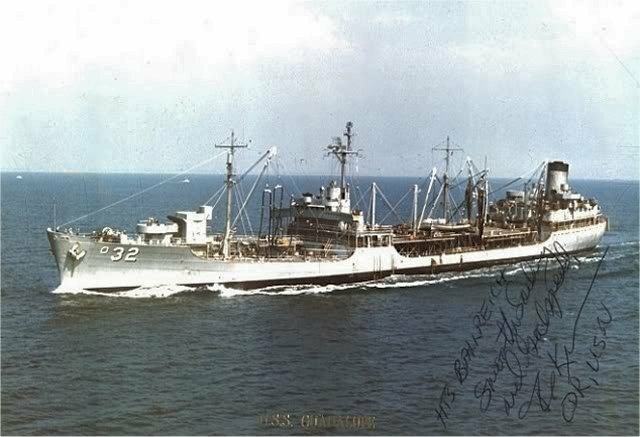 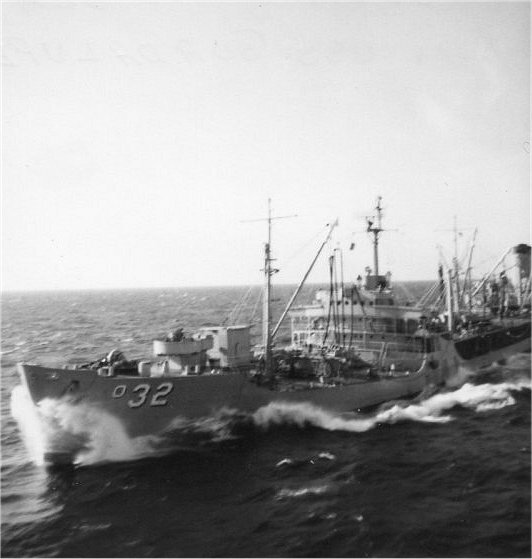 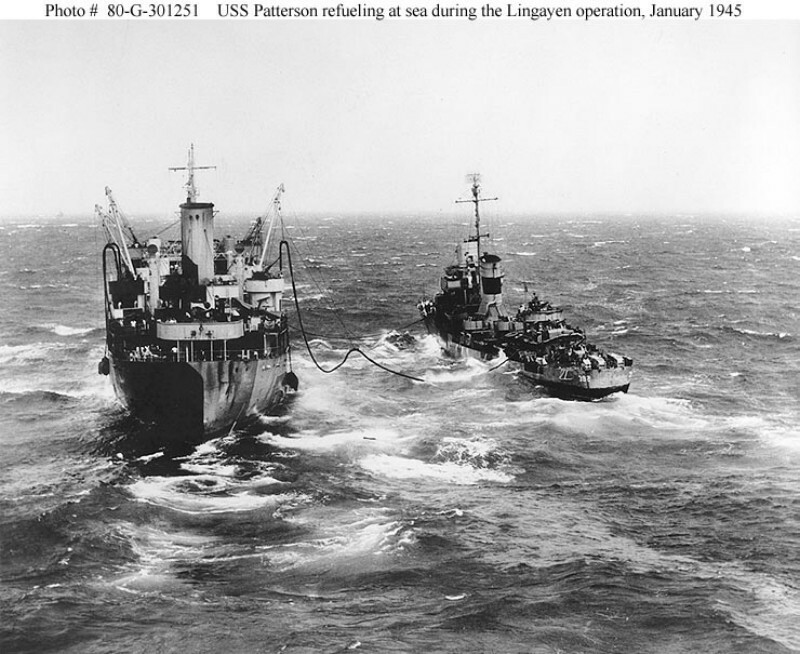 53k USS Guadalupe (AO-32) under way, date and location unknown.